NAPERVILLE, Ill. -- A teen from Naperville is skipping the eighth grade and high school to attend college this fall. 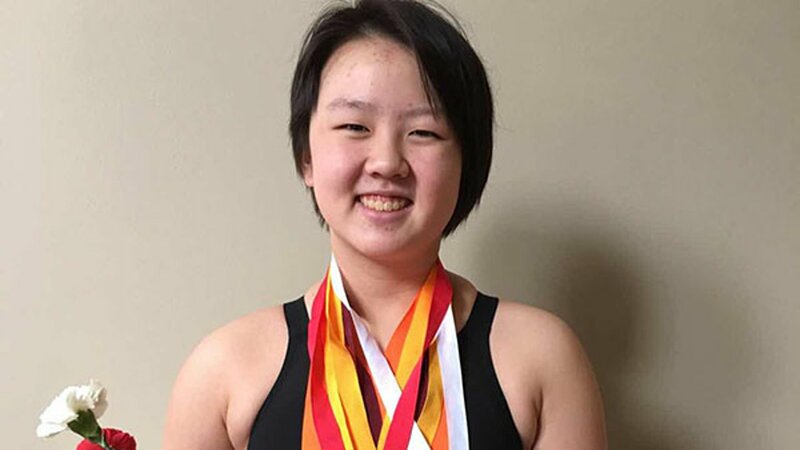 Kelly Li, 13, will not be attending her final year at Crone Middle School or high school at Neuqua Valley. The teen will instead be a freshman at Mary Baldwin College, an all-women's school in Staunton, Va. Her mother, Lili Xi, said the college has a program that allows girls between 13 and 15 to bypass high school to get an undergraduate degree. Kelly got a 33 on her ACT in seventh grade and took AP high school classes. She was also on the Fox Valley Swim Team and competed in middle school math teams. Xi said they had many discussions about whether this was the right decision. Going to college at 13 means Kelly would miss out on milestones such as prom and homecoming. But she said it's a good opportunity and that she's confident Kelly will thrive in college.